Last fall, Riverland Studios ventured to Johns Island, South Carolina to capture Nikki and Carl’s picturesque soiree. And today, I’m thrilled to share some of their lovely orange, magenta, and Navy boho chic Lowcountry barn wedding with you. Nikki and Carl hoped for an elegant southern wedding, and they certainly found what they were looking for with this venue. The Barn at Walnut Hill is a gorgeous slice of Lowcountry heaven located less than an hour from the bustling streets of Charleston. The natural beauty of the venue is unquestionable, and I love its rustic-chic atmosphere. I think you will too! Nikki’s detailed lace-overlay gown was stunning in the natural surroundings. A petite flower crown and white peep-toe heels completed her bridal ensemble, an elegant boho-chic style perfect for an outdoor soiree. What about Carl’s handsome look in his brilliant blue suit with purple tie complete with a yellow-inspired boutonniere of ranunculus and billy balls to match Nikki’s bouquet of vibrant pinks and oranges. Wildflower inspired floral bouquets lined the aisle chairs and a wooden keg bearing a sign for guests to sit wherever they’d like paired well with the brick ruins overgrown with ivy. Nikki and Carl exchanged vows with this majestic outdoor scene as the backdrop. After the couple spent a few moments with family, the photographer captured some gorgeous newlywed portraits featuring some of Walnut Hill’s stunning vistas. Isn’t the sweet kiss in front of the sprawling oak absolutely lovely? Then it was off to the barn for a festive reception experience. Walnut Hill’s barn was transformed for the reception with family style tables featuring gorgeous tablescapes that showcased the eclectic wildflower theme. The chandeliers were accented with strands of lavender leaves and completed the rustic, organic theme. The main dishes were pulled pork and smoked chicken and then guests moved on to sweet treats such as Peace Tea Macaroons and a delicious cake from Swank Desserts. The wedding dance was simply beautiful, taking place underneath the barn’s exposed beams with a soft yellow glow all around. Such a lovely wedding indeed! You’ve heard me say it before, mix and match bridesmaids dresses are my favorite! Not only does the style allow your bridesmaids to choose a dress that works for their body type and personality, the combination of different colors and styles makes for an all-around awesome look to love! Now that you’re thinking about mix and match bridesmaids styles, how do you narrow down where to get them? Well that’s easy. Dessy, of course! 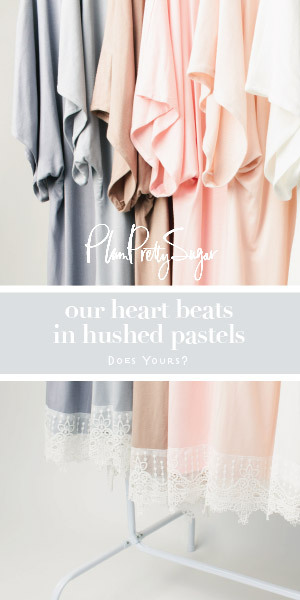 First, their most popular bridesmaid styles, colors, and sizes are ready to ship immediately. That means you can order your dresses, and they ship in just a few days, not weeks. Next, their Quick Delivery Dresses are available online and from your local Dessy Retailer; exclusively in the U.S., Canada and Australia. And, if the dresses don’t fit or work the way you hoped, no problem. All Quick Delivery Dresses are 100% returnable. Need more to ink your decision? Feast your eyes on this classy coastal wedding shoot created by Lauren of Every Last Detail for Aisle Society using Dessy dresses in an array of neutral coastal-chic styles and hues. Captured by Caroline & Evan Photography with wedding planner Kelly Hancock Events as the creative behind the planning and design, these chic dresses are a perfect choice indeed! Carrie and Dusty chose an urban venue called, The The Standard in downtown Knoxville, TN. This venue is just spectacular and provides so much variety for couples, especially the pop of aqua on the walls. Carrie and Dusty are from Knoxville, and both went to the University of Tennessee. However, they didn’t meet until an internship in Atlanta, GA brought them together. I just love couples who are so in love that it shows. It’s especially sweet to see when a groom is mesmerized by his beautiful bride, like Dusty was with Carrie on their special day. Lisa Price Photography shares how sometimes they like to get those moody shots with no smiles, but they could not get Dusty to stop smiling at Carrie, and for good reason as she looked absolutely breathtaking!